The major U.S. airlines reported an on-time arrival rate of 83.8% in October, an improvement over the 77.3% rate in October 2009. Hawaiian Airlines, AirTran Airways and United Airlines had the best on-time arrival rates, while JetBlue, Southwest Airlines and Comair, a Delta Connection carrier, had the worst, according to federal reports. Weather played the biggest role in the delays: 33.06% of late flights were delayed by weather in October, down from 41.14% in October last year. Comair had the highest rate of canceled flights at 2.4%. 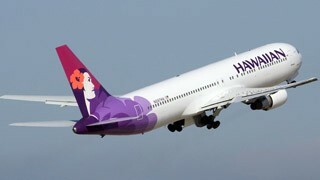 Hawaiian had the lowest rate, with only one canceled flight during the month. The airlines posted a mishandled baggage rate of 2.91 reports per 1,000 passengers. The rate was 3.51 per 1,000 passengers in October 2009. Passengers complained less about airline service in October, filing 749 complaints with the Transportation Department. That's 16.5% fewer than the 898 complaints filed in October last year.